The XTR CS-M9100 by Shimano is a 12-speed cassette with a balanced gear ratio. This primarily pleases enduro pilots, as it helps them master steep climbs and fast-paced sections with speed and appropriate cadence. The gear change steps are even smaller for optimum rhythm and cadence between each gear, as well as maximum speed. 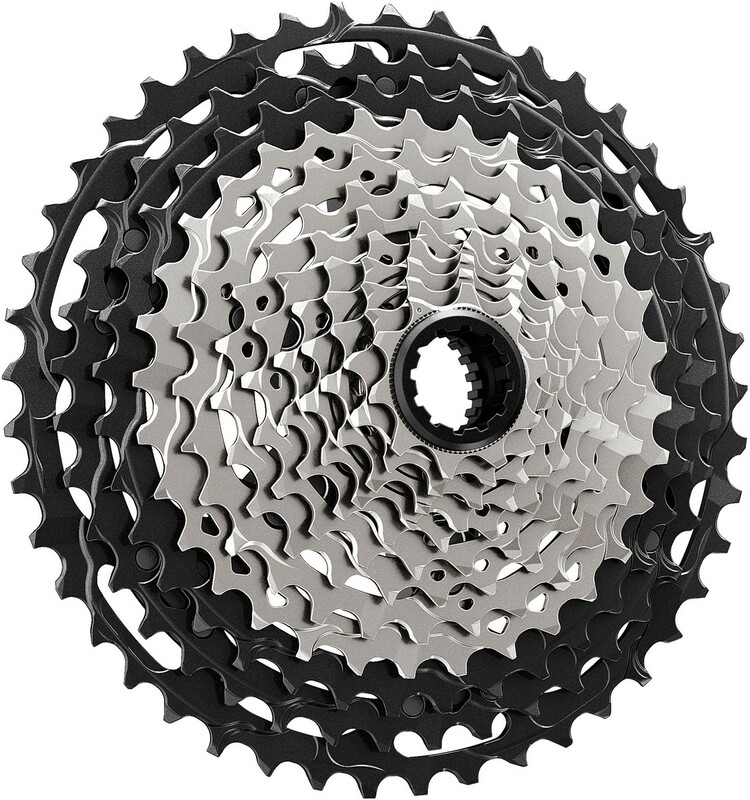 Another advantage of the Hyperglide+ cassette is optimized shifting speed, without the chain bouncing during larger gear steps. The Micro Spline freehub was designed to offer space for a twelfth sprocket and replaced the Shimano’s previous gearing. It is thanks to the intelligent combination of different materials that the even stiffer and more durable cassette has gained less than 10 per cent in weight compared to the 11-speed predecessor model. The largest sprockets use aluminium, the middle use titanium and the smallest use of steel.